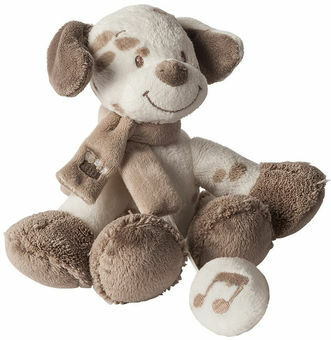 This adorable cuddly toy plays soft music to sooth and help your little one fall asleep. Its cute looks and snuggly feel will be an instant winner with your little one and it will fit seamlessly into your nursery decor. Plus there is no battery that needs to be replaced and the music box inside is waterproof. This musical soft toy is just one product in Nattou’s range of gorgeous, fun and exciting nursery furnishing, activity and soft toys. So whether you are trying to create that perfect look and feel for your baby’s nursery or find that snuggly soft toy that your child will cherish for years to come, then this range has loads to choose from.